Graham Wands was born in 1959 in Irvine, Ayrshire. 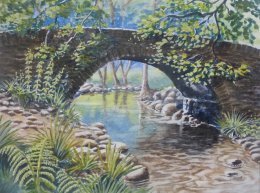 Graham has been drawing and painting throughout his life, and has won numerous prizes for his art, including Kelso High School Art Prize in 1977. 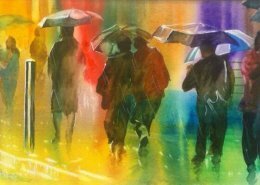 He is largely self taught, working in a range of mediums from pencil, charcoal, pastel through to watercolour, acrylic and oils. Graham has taught art in community art classes in Jedburgh and Kelso, and now runs art classes in his studio in Alyth after moving up to Perthshire from the Borders in 1995. Jane has been a willow weaver for nearly 17 years. She weaves traditional and contemporary baskets, willow fences and hurdles, and willow coracles from her rural workshop. Working mostly with willow, some of which she grows, the rest she buys from growers around Scotland or Somerset. Jane also collects hedgerow materials such as larch, hazel, dogwood and birch from the local woodlands near to where she lives. The inspiration for her many community based projects comes from the skills and input from local residents, school children and other community groups. 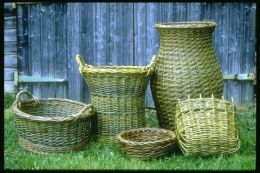 Jane has been teaching basketry for nearly 15 years, runs courses on coracle building throughout Scotland, commissions, and environmental art projects for councils and education authorities. Since graduating from Duncan of Jordanstone College of Art, Dundee, in 1990, Jonathan Mitchell has developed a considerable reputation as a painter of the Scottish landscape with his work collected by patrons both in the UK and internationally. 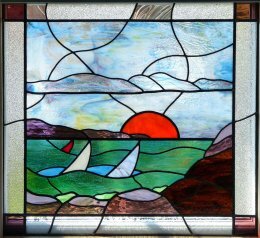 Lesley has been making stained glass items, small and large, since 1990. 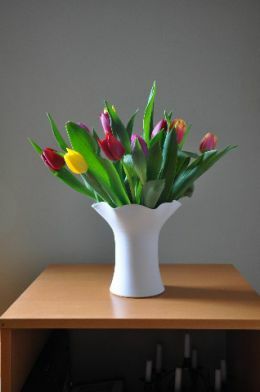 Attending further glass related courses while living in the USA she had a break after returning to the UK. 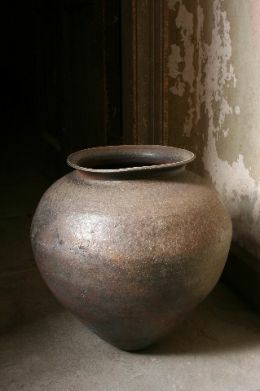 It was inevitable that Mary should take up arts and crafts in some form as the family home was always full of pottery. Her father attended art college, her uncle was an artist, and her grandfather made furniture. 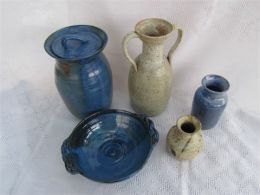 Having tried her hand at pottery night classes there was no turning back. Mary's pottery is inspired by her interest in water sports, and plant forms and seeds which she presses into soft clay to create decoration. 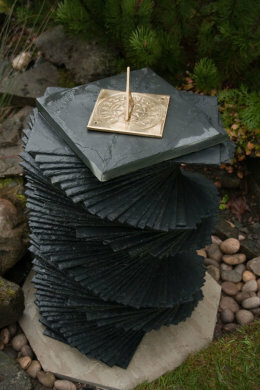 Mary's wave and water inspired pottery was exhibited at the Watermill, Aberfeldy in 2012 in conjunction with the Scottish Potters Association. Ron's interests include digital photography and drystone walling. He has run a successful garden design business for 17 years and quickly realised the potential of digital photography as a tool for the design process. Keen to expand his knowledge and experience in the digital medium he formed Alyth Photographic Club in 2009. His portfolio of images includes landscapes, flora and fauna, and macro photography.